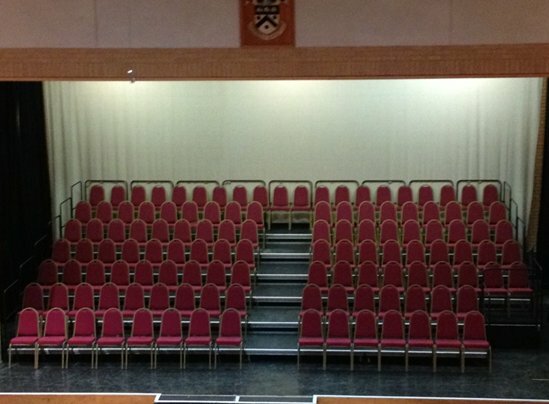 We can provide everything you need for your tiered seating requirements. 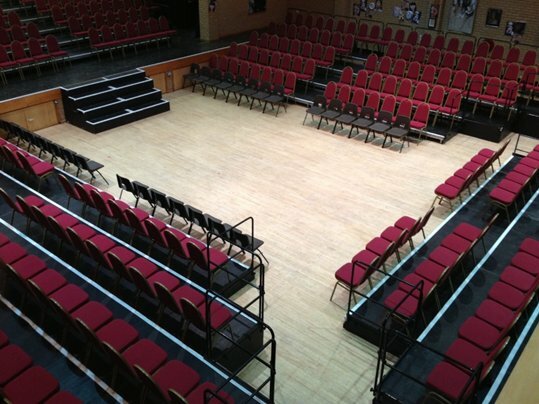 Tiered seating is the perfect way to get a larger audience in a smaller space with everyone still having a good view of the performance whether it is for a school play or a west end show we have the solution for you. Stocking all the staging and chairs ourselves allows us to cover it all for you so less ringing around suppliers and dedicated event staff. Whatever your space requirements we have the solution for you. With over 200 staging panels and 800 chairs in stock we have got you covered. 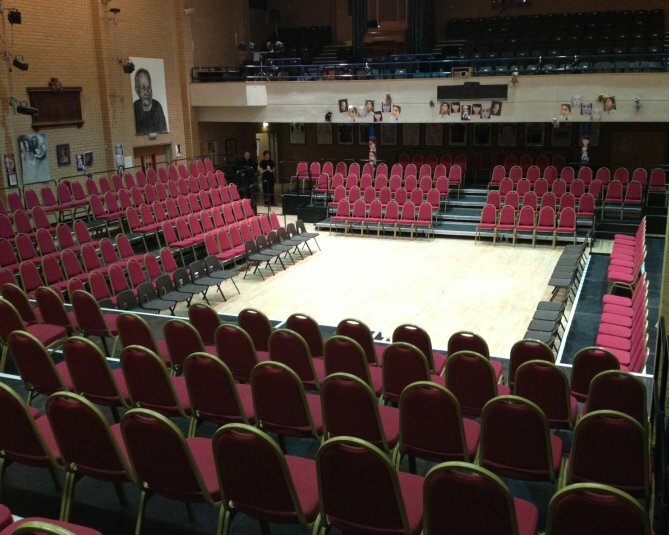 Tiered seating is the solution to getting a larger number of audience into a smaller space with everyone still having a good view of the performance. 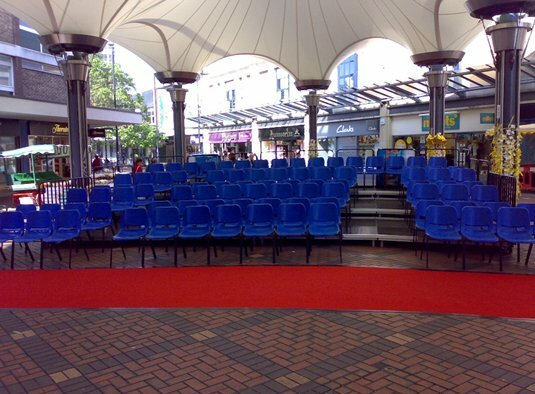 There are many tiered seating solutions available, if you provide us with the size of the space available and the number of guests then we can design and build the seating to your needs. Dance Floor Hire UK is part of Corporate Events UK Ltd. Corporate Events UK was formed in 1999 and what we don't know about dance floors and event planning is not worth knowing. © 2019 Alex Newman All Rights Reserved.